Long relaxing weekends are not everyone's cup of tea and some people want to do something a bit more adventurous. If you are craving an exciting way to spend your weekends look no further than Industry 1 in Liverpool where you can give wakeboarding a try. Despite the sports worldwide popularity you might not have heard of this activity before. Wakeboarding is a fun watersport activity where you ride a wakeboard over the surface of the water and for the more daring you can learn to jump over obstacles and perform tricks. Not one for the faint-hearted this activity will add some fun into your day. Why not learn a new skill and try something completely different. 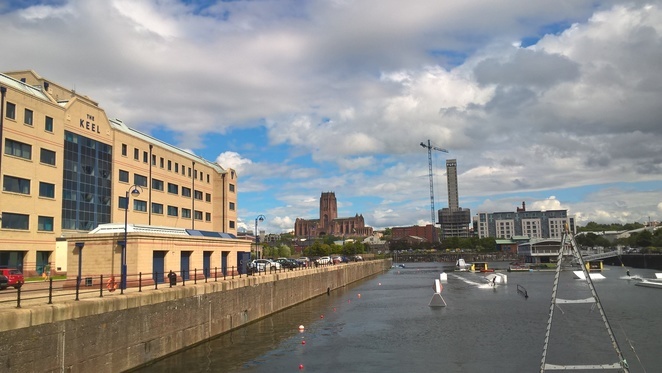 Liverpool is a great location for watersports, the city is home to the docks and the River Mersey so why stay on dry land when you can test your skills in the water. At Queens Dock, you will find Industry 1's Wake Park. The docks have been transformed into a floating obstacle course. 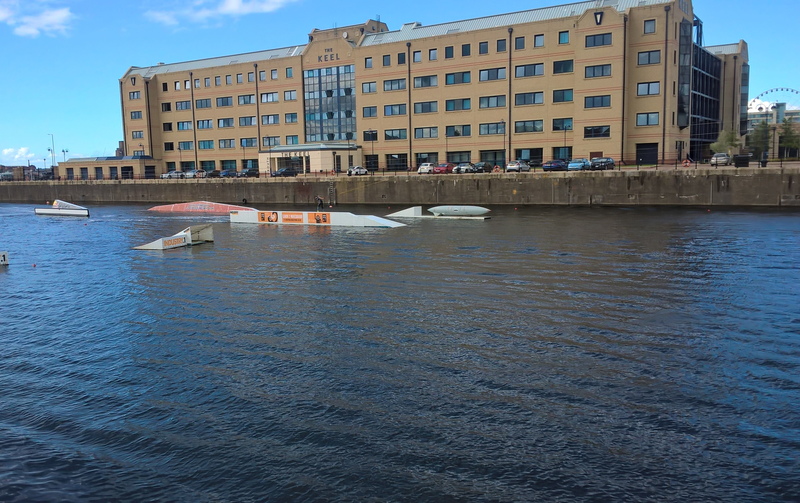 Wakeboarders try their skills along the system, in a similar way to snowboarding the aim is to perform tricks and try new skills. With sessions to suit all ages and abilities, there really is something for everyone. Beginners start out with a lesson on dry land before hitting the water. You'll be pleased to learn that anyone not achieving the goal of getting up on the water will receive their money back, so it is a win-win situation, what have you got to lose? Beginners should arrive 30 minutes before their booked time to get set up and take part in a dry land session which will teach you what to do before getting in the water. The women-only session Girls Ride Night takes place every other Tuesday where women can meet other wakeboarders and learn from expert coaches. From 5pm until dark, this event is one way to make new friends and learn new tricks in a friendly and supportive group. Whilst this activity is fun for adults children can learn too in the Wake Academy which takes place during the school holidays giving under 16's a chance to learn wakeboarding from qualified staff. With different levels to achieve you can aim for bronze, silver, gold or platinum awards. This is something completely different to do in the school holidays, why not learn a new skill and go back to school with amazing stories to tell. Once you have tried out this sport you might find you want to turn a fun activity into a hobby. The Progression Sessions are a way for more experienced riders to push their training learning new tricks and taking their skills to the next level. These are for anyone who has completed the beginner's stage and wants to become a more accomplished wakeboarder. Instructors will push you to the next level teaching you tricks and how to start hitting obstacles. If you are ready for a challenge these sessions are for you. However it's not all about pushing yourself, Industry 1 hosts fun evening events too. Friday nights at Industry 1 are a celebration with a party for both members and non-members. Each person has a 5 minute wakeboarding slot rotating around the different riders. There will be guest coaches, a chance to meet new people and learn new skills. With food and drinks served afterwards this is the coolest Friday night around. 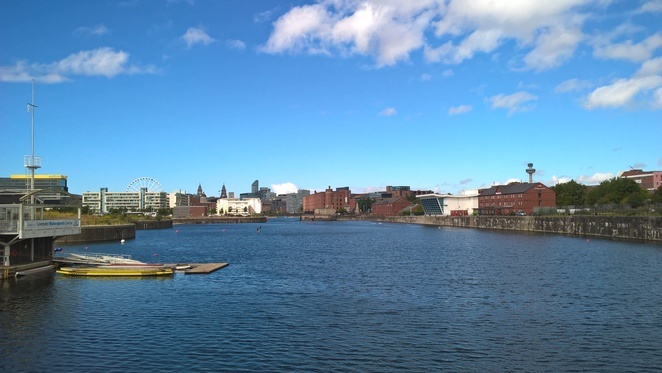 With so much going on at Industry 1 it is easy to see why this watersports centre is becoming a popular place in Liverpool. Wakeboarding itself is a fast growing sport with members all around the world. You may find that you fall in love with this exhilarating sport. If you want to get more involved the onsite is a watersports shop has all the equipment for those wanting to turn an activity into a hobby. With everything from wakeboards to wetsuits this pro shop has professional equipment of the highest quality. Prices: With a variety of options for all abilities you are sure to find the lesson which is right for you.